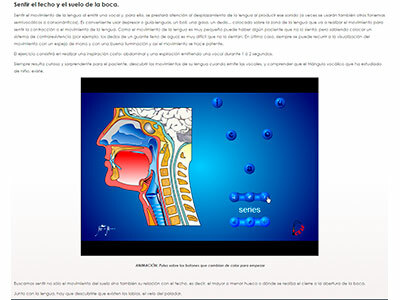 The 'Centro de Foniatría y Logopedia' in Santander, Spain (Phoniatric and Speech Therapy Centre) has developed for over thirty years the Proprioceptive Elastic Method (PROEL) to treat voice problems and optimize user and professional voice. Our experience in teaching our method to other professionals through face-to-face courses is extensive; and still, such courses generate interest with a large number of training requests that we receive constantly. 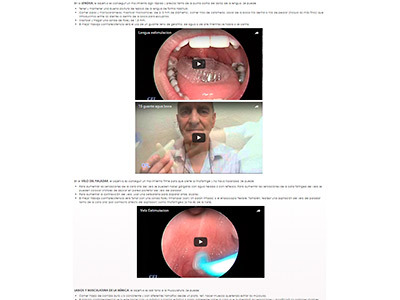 In recent years, we have organized a large part of our teaching material related to prevention and treatment of voice problems to offer online courses. These courses are extensive in both a written (five volumes of 200 pages each) and interactive format (with hundreds of interactive animations and videos). They are as well under constant review as they are based on state-of-the-art scientific advances. Our training method is innovative mainly because we complement exhaustive theory material with dynamic experimentation, with practical applications in laboratory experiments and with new methodologies to apply what is learnt to our daily practice. In addition, constant tutoring is performed in small groups, which fosters a participative and enriching environment for students, by sharing professional experiences and points of view with each other. In 2018 our training has been recognized for its quality and dedication of its training team to become an Expert University Qualification in collaboration with the Menéndez Pelayo International University (UIMP). This course will be instructed predominately online, through our e-learning platform. However, one of the modules will require classroom attendance, and although it could be followed via videoconference, attending students will benefit from extra group dynamics. 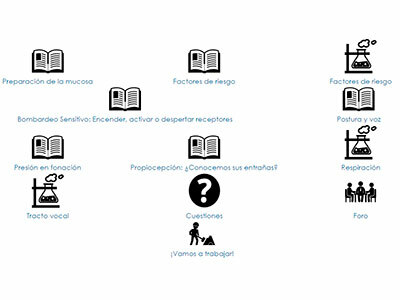 Complementary materials are fully translated to three different languages: Spanish, English and Italian. Tuition will be carried out in the native language of the student (Spanish, English, Italian) and in small groups. More than 400 original videos and more than 50 interactive animations. 5 volumes of 200 pages with course resources. Each subject is composed of an exhaustive theoretical base accompanied by practical dynamics to foster peer learning. 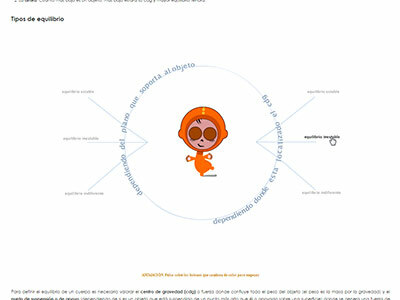 Theory contents will be available in web format, including videos and interactive animations to facilitate comprehension. To enhance further learning proceses and future reference, contents will be presented in hard printed volumes. At the end of each module a videoconference will be held to solve further doubts and carry out group activities. Voice disorder prevention in voice professionals requires a wide knowledge of activities and procedures to carry out on our patients. Not all techniques are as effective and depending on each person and type of work we should apply minimal actions to achieve the final goal. Through this subject the student will learn to teach the patient the most effective dynamics to prevent voice problems. Early Natural Treatment: what and what doesn’t work. Knowing how it works: phonatory experiments to understand physiopathology. Constant training or controlled overload. How to treat the most frequent signs of vocal problem: itchiness, sensation of a foreign body in the throat, cough, pain. How to strengthen the voice: resonances and vocal pitch. It follows the same methodology as the first module, theoretical contents will be presented on the web, accompanied by videos and animations that enhance comprehension. Theoretical formation will be complemented by practical dynamics. To bolster study and for further reference texts will be also presented on hard printed volumes. At the end of this module a videoconference will take place to solve further doubts and to carry out group dynamics. It is difficult to be effective at therapeutic level if you do not know how our patients get sick, why and what the mechanisms are that maintain the problem over time. If as therapists we do not have a good voice observation system, we will never know the effectiveness of the treatment. A good diagnosis is the basis for an excellent result. Functional anatomy-physiology and Physiology through phonatory experiments. 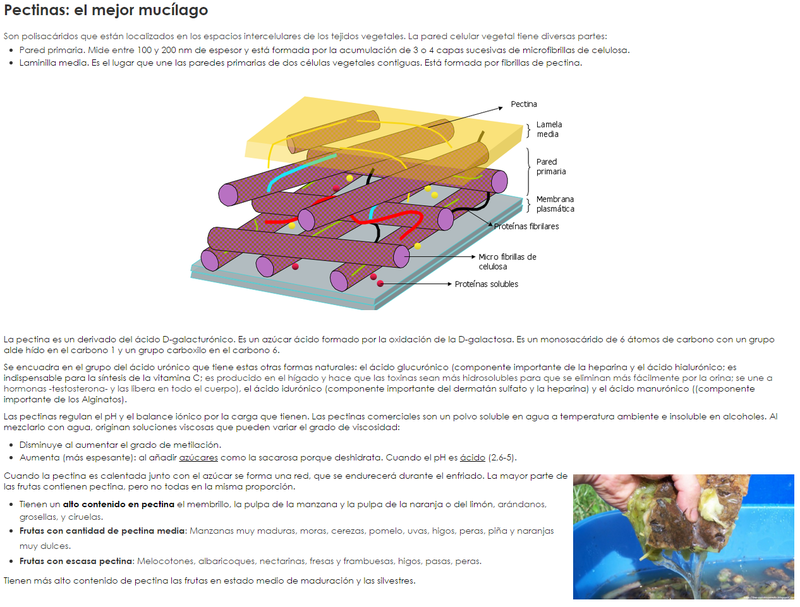 Understanding the Lamina Propia more and in a better way. Reconstituing proteins to achieve self-reparation of VC tissue. 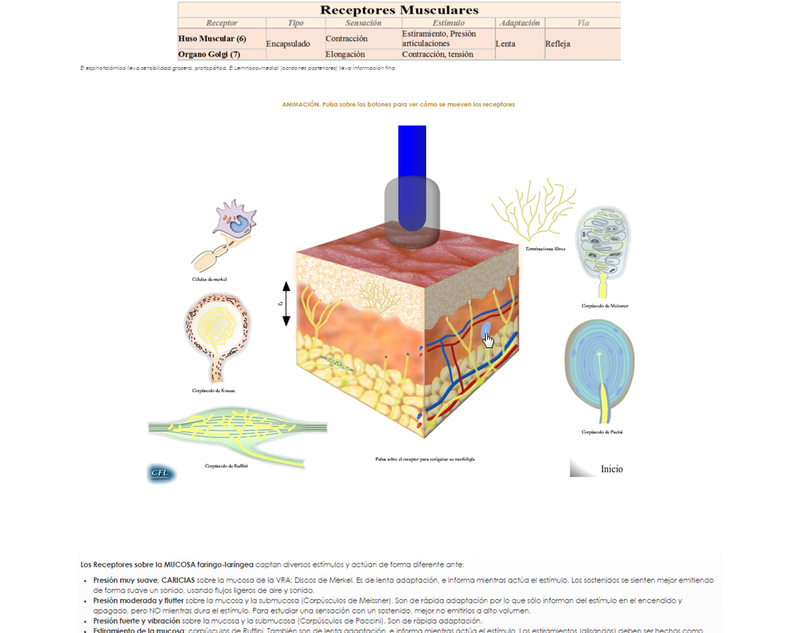 Mucous wave exercises and stimulation of the immune system. Theoretical model of the phonatory system functioning. Pathophysiology to understand the situations that can condition vocal pathology. Factors that trigger and maintain the recurrent loops of dysphonia. Exploration and evaluation of the voice. Similar to the previous modules, this subject is composed of a strong theoretical base (the largest of the course) accompanied by a practical part based on collaboration between students and sharing experiences for a networked learning. Theoretical contents will be presented on the website, accompanied by videos and interactive animations that facilitate understanding. To enhance further study and reference, theoretical texts will be delivered in printed volumes. At the end of this module there will be a videoconference for solve further doubts, and group activities. The daily work of the professional is not only based on personal experience and knowledge already acquired. The “art" of therapeutic practice is always changing, and the joint attack between groups of professionals to complicated cases is a practice very common in other groups, but not yet in medical practice in general. This is a transversal module that will focus on analysing complicated cases from a point of view of continuous and collaborative learning. Difficult cases will be analysed using teaching methods that will encourage collaboration among students, creation of work groups, use of collaborative tools, etc. Tuition will be organised in small groups guided by a professional with extensive experience and prestige. These are some of the tutors. Bachelor of Medicine, University of Cantabria in 1981, medical specialist in Phoniatrics, University of Padua in 1987, PhD in Medicine, University of Cantabria. Experience in voice pathology since 1982. Bachelor of Medicine, University of Bolonia (Italy) in 1984. Medical specialist in Otorhinolaryngology, University of Modena in 1987. Medical specialist in Phoniatrics, University of Padua in 1990. Physician working in ORL service in Hospital Bufalini in Cesena since 1990, being since then the chief of the Phoniatrics and Phonosurgery Area. Experience in voice pathology since 1990. Degree in Philosophy and Education Sciences (Section of Education Sciences), University of Salamanca (1988), Master in Speech Therapy, Complutense University of Madrid (1990). Experience in voice pathology since 1990. Degree in Teaching in Basic General Education, University of Cantabria, 1987, Postgraduate certificate in Psychopathology and Speech rehabilitation, University Pontificia of Comilllas, Madrid, 1989, Degree in Speech Therapy at the Pontifical University of Salamanca, 2013. Experience in pathology of the voice since 1989. Diploma in Speech Therapy, Complutense University of Madrid (2011) and Degree in Speech Therapy, Complutense University of Madrid (2013). Researcher. Master in Cognitive Neuroscience and Language, University of the Basque Country / BCBL, (2016). Experience in voice pathology since 2011. Teaching Degree in English as a Foreign Language, University of Cantabria (2007). Degree in Social and Cultural Anthropology with distinction in Cognitive Anthropology, Complutense University of Madrid (2010). Degree in Primary Education with distinction in Therapeutic Pedagogy, International University of La Rioja UNIR (2017). Secondary Education Master, International University of La Rioja (2017). Expert in Flipped Classroom Universidad Internacional de la Rioja (2018). Degree in Speech Therapy with Distinction in Paediatrics from the University of Cantabria (2015). Professional Degree in Classical Music by the Ministry of Education of the Basque Country (2011). Master's Degree in Teacher Training specialty in Music Education (2017). Advanced Level in Music Theory at Trinity College London (2010). Experience in voice pathology since 2015. Graduated in Speech Therapy from the University of Trieste (2006). Degree in Psychological Sciences and Techniques with distinction in Psychobiology, University of Trieste (2012). Lecturer in "Clinic and Voice and Speech pathology", University of Perugia (2017). Specialist degree “Holistic Operator of the Voice”, ‘UmbriaInCanto’ Training School (2018). Experience in voice pathology since 2007. Graduated in Speech Therapy, University of Turin (1996). University Degree in Deglutology (2008), in Evolutionary Neuropsychology (2016) and in Clinical Investigation in the Sanitary Field (2017). Experience in voice pathology since 2009. Degree in Speech Therapy, University of Padua (2015). Pre-academic Diploma of Piano, Giuseppe Tartini Conservatory, Trieste (2011). Currently attending the second year of the Giovanni Ferrari music therapy school in Padua. Working in Trieste in voice pathologies, language disorders and facial muscle imbalance. Extracted from the official documentation of the study program The Proprioceptive Elastic (PROEL VT) method for voice therapy is a method that seeks a voice emission with a greater sensation of freedom using an immersion method to seek maximum corporal and vocal elasticity, for example, through unstable balance or suspension using elastic systems. When the phonatory system is elastic, the maximum resonance of the system is obtained and a strong vocal projection is generated. The key for the body to interpret and use voice over time is to activate, connect and boost proprioception. The majority of vocal problems are generated by inflammatory factors that condition a bad function of the phonatory system. Therefore, it is fundamental to understand the inflammatory mechanisms that the phonatory system can have and what risk factors must be controlled and eliminated. 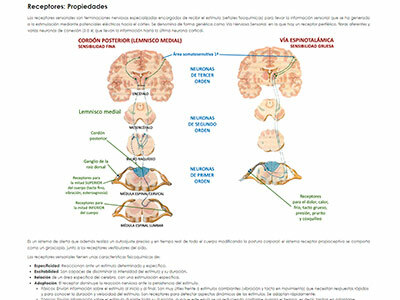 PROEL VT has been developed at the Center of Phoniatrics and Speech Therapy in Santander (Dr. A. Borragán) over the last 25 years and has been used with thousands of patients. Learning is based on experimental dynamics by means of the perceived model: the dysphonic patient is encouraged to modify their voice in a short period of time through manoeuvres and postures; vocal performance is compared before and after each proposed activity. This task produces a change in voice that the patient experiences and internalizes, engraving itself on the brain and produces a very emotional experience. It is not a progressive therapy, but one that causes a powerful impact. 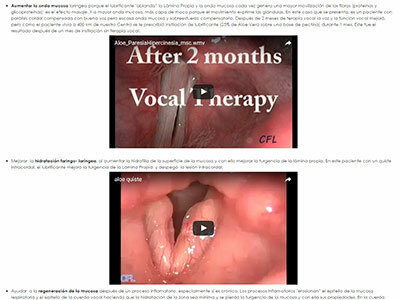 The results are excellent and the average duration of vocal therapy is 12 sessions. The proprioceptive-elastic method breaks with many concepts of classical vocal therapy. Acceptance by the patient is optimal. The patient with dysphonia feels that they have learnt, acquired and automated a different way of speaking and one, which provides a sense of great well-being. The therapist is not a teacher but a guide who discovers the best way for each patient to acquire maximum elasticity. Taken from the official documentation of the study program This program is aimed at people who hold the following degrees: Speech Therapy, Medicine, Otolaryngology, Psychology, Phoniatrics, Singing or Dramatic Arts Teachers, Psychopedagogues, Hearing and Language or Therapeutic Pedagogy. Exceptionally, other professionals whose activity relies on an adequate, intensive and efficient use of the voice (e.g. singers, actors, etc.) may be admitted. These professionals must accredit their professional experience at the time of formalizing their registration, and their admission will be subject to the evaluation of the said accreditation by the competent bodies of the UIMP and the academic team. Case study and working dynamics (November 1st to December 31st, 2019). End of course thesis (TFE). October 1 to November 30, 2018, pre-registration: Students interested in taking the degree must fill out the pre-registration form on this website. This does not entail any financial outlay at this point. 1 to December 10, 2018, admission: The direction and coordination of the degree will examine the profiles of the applicants (see "Access profile and admission criteria" above) and will communicate to each one individually their admission, in addition to requesting additional documentation that is necessary and indicate payment instructions. December 11 to 31, 2018, registration: With the data of the students and the payment made, the UIMP will proceed to include the students in their management systems. Copyright © 2019 CFL Training. All Rights Reserved.